Start living a healthy lifestyle AND keep the weight off! Obesity Specialist Niraj Shah, MD, wants to help you lose weight and reduce the effects your weight may have on chronic illnesses. The Weight Management Clinic offers the following services to help you acheive your weight-loss goals. Dr. Shah, a weight-loss medicine specialist, is dedicated to guiding patients in improving chronic conditions and quality of life through healthy nutritional diet and weight loss. He is board certified in family medicine and completed a fellowship in obesity medicine. Dr. Shah is also a certified yoga instructor. What led you to get a fellowship in obesity medicine? Starting in 2015, obesity took over tobacco as the leading preventable cause for mortality and morbidity in this country. That was a major eye-opener to the physicians and medical community that this is a severe problem that we have to tackle. I went ahead and got a fellowship in obesity medicine. Why is your weight-loss clinic successful? I've spent at least an hour a day in the last four years learning about nutrition and reading 50-100 different books. One of the things that I learned is that the one-size-fits-all approach is never going to work. You have to understand where the patient is coming from, what challenges they're having, and become a problem solver. That's essentially my technique as a physician. I spend a tremendous amount of time educating patients on nutrition and the food that they eat. How can you help those who have tried diets without success? Sometimes other aspects of the body such as hormones and other physiologies are too strong and overpower the willpower of an individual. So I also offer medications that make their effort more practical. Call (618) 607-1260 for an appointment with Dr. Shah. Dr. Shah's office is located at 1414 Cross Street, Suite 230, Shiloh, IL. The Weight Management Clinic is available to all adolescent or adult BJC Medical Group of Illinois (formerly known as Memorial Medical Group) patients. One-on-one consultations are charged as an office visit and covered by most insurances. 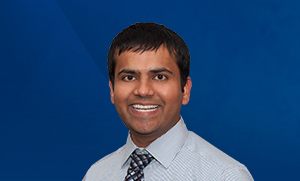 BJC Medical Group of Illinois Family Medicine's Dr. Niraj Shah has interests beyond medicine. "I have to tell you, he is AWESOME...he is helping me and is extremely knowledgeable. Especially since I am old, and my metabolism is like non-existent. You name the diet and I have done it."